First of all, Visual SciTech as the leader in the application of State of the Art – Visual Intelligence algorithms into unexpensive APPs like “Visual Job Hire” detects Human Emotions related to Video Recorded Interviews. Candidates reveal reactions and open unique information to improve the selection process detecting deception to prevent untruthful candidates. The critical decisions that you make as an entrepreneur or manager of a company will be to attract and incorporate the right people. Understanding how to choose the ideal candidate is a complicated process, which requires skills, experience, and a right eye, but, above all, adequate planning. While the success of your company is related to your employee’s performance, so you should carefully select the candidates that best match the job profile. If you want to be right in your choice and choose the right candidate, you should plan and follow a series of steps that guide you throughout the process and help you make an informed decision. How to make an active recruitment and selection process using Visual Intelligence tools (Human Emotions Detection)? The method of recruitment and selection of personnel is a set of steps that help to recruit and select the most suitable staff for a job in your company in addition to traditional technique we recommend using Emotions analysis related to a set of questions. Definition of the Job profile of the Candidates. What activities should you carry out? This phrase refers to the search, recruitment or summoning of the applicants who fulfill the competencies or characteristics that we have defined in the previous step (without the need of having to fill all. Announcements or notices; Recommendations; Employment agencies; The competition as a source; Consultants in human resources; Internal promotion; Files or databases. It is time for the assessment of the candidates we have recruited or convened, this to choose among all of them the most suitable for the position we are offering. This stage can separate in the Pre-selection Phase through the elimination of Curriculums and the selection phase where those who meet the minimum expectations. After evaluating all the candidates or candidates, we select the best performer in the tests and interviews conducted, that is, we choose the most suitable candidate to fill the vacant position. When you have chosen the most suitable candidate, we go to hire him, that is, to sign together with him a contract where we indicate the position to perform, the functions he will play. The remuneration he will receive, the time he will work, and other aspects that need to negotiate. Finally, once we have selected and hired the new staff, we must ensure that it adapts as quickly as possible to the company, and train it so that it can perform correctly in its original position. As a result of the vast wealth of companies and their high value concerning their competence lies in the human capital that makes them up. For this, the first step based on the correct selection of personnel. The proper functioning of the company, its degree of competitiveness in the market and its ability to offer genuinely different added value will depend on it. Train talented teams, it is not enough to select the best professionals. Maybe one of the most important aspects is to verify that these professionals will be able to integrate, in a perfect way. The rest of the members of the group and, above all, verify that they know how to adapt to the culture and business values. Although it may be obvious, the first and undoubtedly the most crucial step in selecting the best candidate is for the company to have a clear need for personnel. And not only on a functional level but also on a personal level. Occasionally, there may be cases in which companies do not have well-defined resources or work processes. As a consequence, as the selection process progresses, the profile requested by the company changes and adjusts to other needs. These changes in the initial job offer can lengthen the search for candidates more time than they should. Once the job offer has been defined, the next step to use the Visual Hire APP to analyze final candidates Emotions Analysis related to critical questions. Visual SciTech provide a “State of the Art” concept in the Human Resources recruiting process and work in a specific manner and key to detect the ideal candidate for each position in the company. Likewise, it will offer the necessary confidentiality that, in most cases, is essential so as not to break the harmony and equity of the company. Once we have a series of candidates to interview, it is essential to devote as much time and attention as possible. We must understand that they are candidates that may be working or not, but in any case, they are making an effort to conduct an interview. A crucial moment in their lives, in which they place trust and enthusiasm, for which they have prepared themselves, they have moved and, in short, they are devoting all their attention. For our part, as professionals and experts, we must provide all the possible information about the position. The more transparent we are with the candidate, the more he will show us. The essence of good job interviews is to create a dialogue and a relationship of mutual trust, in which, both company and candidate, must be known transparently. Results and speed do not have to be incompatible but are aspects that must go hand in hand. Therefore, it is vital that employees know how to control their stress, the pressure they are under and their time. The perfect candidate must know how to differentiate between what is an urgent task and an important task. Urgency is associated with the time; while importance related to the achievement of objectives. Something urgent requires immediate attention while something meaningful can be resolved in the short or even long term. Finally, the company has to select the best candidate to be included in the organization. The most advisable is to make the decision based on the level of adequacy of the candidate to the culture of the company. In general, the selection process lasts several weeks, and may even last for months. The conditions of the offer may vary, but if after following these five steps, the interest remains mutual, we have found the right person. One of the keys to your successful selection process is to define, in detail, the profile of the job. You must be clear about the characteristics and needs of the position, the functions that the worker will have to develop. The tools he needs to manage, the hours he must cover, the desirable skills and the essential technical knowledge. Certain factors will influence the description of the position, such as the duration of the contract, that is, if it is a temporary contract, to cover leave, to supplement vacations or as a reinforcement. Due to a temporary increase in the workload, or if, on the contrary, it is an indefinite contract. To fill a position that has become vacant or a new one, arising as a result of the company growth. Depending on the position and the duration of the contract. You may be more interested in an experienced person or someone you can teach from scratch. Companies have the option to execute different types of contracts that exist. To assess which one may suit you the most, or the grants and subsidies that you can benefit. These two elements can help you set some requirements to pre-select the candidates or to make the final decision. Once the profile is defined, it is time to look for a considerable number of candidates to be able to choose the best one. You can carry out this search through different methods and means to cover the vacant position within your company. One of the options that you should consider is if the ideal candidate to fill that position is already among the members of your team. All you need is to reorganize the structure of the company. Sometimes the simplest option is the best. Ask for help from your workers. Most job offers never get published because companies use their employees’ contacts. The truth is that there is no one better than them to recommend a candidate they would like to work. All the companies usually receive, throughout the year, a considerable number of curriculum vitae requesting a position. Visual Job Hire recommends that you save and classify these applications for a period so that you can use them if you need to fill a position. As a general rule, whoever sends a request is because they are interested in working in the company. Publish the offer in different media. You must be careful with this option! Especially if you decide to publish it on a web page of employment because you could receive thousands of applications. If you want to publish the position on a specialized website, it is essential that you filter the applications according to the vital requirements so as not to lengthen the process too much. This step is necessary to avoid wasting time conducting interviews with people who do not meet the profile. First, you should review all the requests and discard those that do not meet the essential requirements of the profile. You can simplify the process and make a scale to assess the rest of the applications objectively. To do this, it only notes the essential and valuable requirements and values each applicant based on predefined questions, selecting those who have obtained the most points. Depending on the position and the profile sought, it may be necessary to carry out some tests that help discard or select your candidates. Tests such as psychometric, personality tests, exercises that assess the technical knowledge of aspirants or group dynamics. To check how they are handled in certain situations and in what skills each one stands out. Of all the techniques, the most important is the personal interview, since it allows you to know each person directly. For the session to obtain the expected results, the interviewer must have a clear profile and be a reasonable observer. 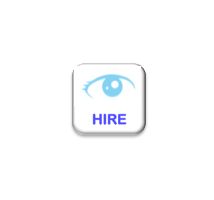 The purpose of the Visual Job Hire APP session is to determine the suitability of the candidate for the position. Individuals and companies are involved in a continuous mutual attraction. Candidates attract and select companies. Informing themselves and having opinions and perceptions about them. Recruitment is a process aimed at attracting potentially qualified candidates capable of holding positions within the organization. It is necessarily an information system through which the organization discloses. Offers the employment opportunities it intends to fill to the human resources market. To be an effective hiring process, in the recruitment phase must attract enough candidates to supply the selection process adequately. Also, the function of the hiring is to provide the selection of primary raw material (candidates) for its operation. Recruitment consists from the data on present and future needs of human assets of the organization. Almost all the activities related to the research and the intervention of the sources capable of providing the organization. It is an activity whose immediate aim is to attract candidates from which the future members of the organization will select. Recruitment does not always try to cover the entire human assets market by searching without precise direction. The fundamental problem of the organization is to establish sources of supply of human resources, located in the market. That interest them specifically to concentrate their recruitment efforts on them. Therefore, the sources of human resources call sources of recruitment. While they go on to represent the objectives on which recruitment techniques will affect. There are many and interrelated sources of supply of human assets. One of the most critical phases of recruitment is the identification, selection, and maintenance of sources. That can be used appropriately to find candidates who are likely to meet the requirements. Increasing both the proportion of candidates pre-selected for screening, as well as that of candidates-employees admitted; Decrease the hiring process time. To reduce the costs of recruitment, through the efficient application of its techniques. If not, you must recruit them through the most appropriate recruitment techniques for the case. It has already proved that the sources of recruitment are the human resource market areas explored by the recruitment mechanisms. That is, the human resources market presents diverse. Due to the human resources market is a set of candidates who may be employed (working in a company) or unemployed. The candidates, available employees, can be real (those who are looking for a job or intend to change the one they have) or potential (those who are not interested in looking for a job). The candidates employed, whether real or potential, are working in a company, including ours. There are two means of recruitment of Human Assets: internal and external. Recruitment is external when it has to do with real or potential candidates, available or employed in other companies, and its consequence is an entry of human resources. It is internal when it involves real candidates or potential employees only in the company itself, and its effect is internal processing.